Gainesville is a town of 33,8000, and is the county seat of Hall County, Georgia. It's often referred to as the "Poultry Capital of the World" because of the many chicken processing plants. 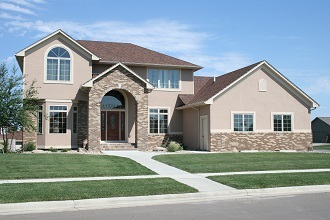 However, there are many good reasons why real estate in Gainesville, GA is worth looking into. Gainesville can boast of excellence in arts, education, recreation, shopping and dining. It offers great schools, local colleges such as Brenau University, and stellar health care (Northeast Georgia Health System) from a top hospital to the local doctors. Many call Gainesville home because it is their one stop for all things work and play, and its a great place to raise a family. Gainesville is named after Edmund P. Gaines, a hero from the War of 1812. It was once the epicenter of a gold rush during the 1830s. This was a major catalyst in the growth of the area. After World War II, Jesse Jewell started the poultry industry, which remains the state's largest agricultural crop. Over the past 175 years, Gainesville has been a resort town, a ghost town and is now one of the largest towns in the state. During the 1996 Olympics in Atlanta, Gainesville was the venue for rowing and kayaking medal competitions. Gainesville is the place to be for lovers of the great outdoors. Whether you enjoy biking, boating, swimming, or rowing there is a park for you in Gainesville. 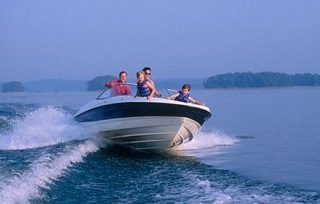 The crown recreational jewel is Lake Sidney Lanier, which surrounds Gainesville on 3 sides. The Lake is one of the top vacation and scenic destinations in Georgia, and the Lake Lanier Islands Resort has boating, hiking trails, a golf course, picnic and camping areas, and hosts conferences and weddings year round. In Gainesville, you can hop in the pool in the morning and then head over to the baseball field for a game in the afternoon. The best part is that residents only pay for 65 percent of the total park budget through taxes. This means that those who don't use the park on a regular basis don't have to fund it completely through their tax dollars. The Lake Lainer Olympic Venue is a place where athletes who participate in water sports train and hone their craft. Visitors can actually get in the water and learn how to paddle and row. The Chattahoochee Golf Course is one of the nicest courses in the state. It is maintained in a manner that makes you feel as if you are on a championship level course. Gainesville is a fun-loving community that doesn't take itself too seriously, and its events reflect that. The Gainesville Square hosts a community get together every First Friday, often with live bands.The Farmer's Market is another touchstone, where locals browse for home-grown fresh fruits and vegetables. Other events include the Mother-Son Halloween dance, the Gainesville 5K Action Dash and the Soggy Doggy Pool Party! Gainesville, GA offers scenic beauty and an easy going, friendly sense of community. If you are thinking of looking here, call the VIP Realty Team, 706-219-1931, before you start out. They are experienced pros who knows the market, and can help you find your dream home in the quintessential Southern town of Gainesville.